I’d only been back in Hong Kong for 2 and a half days, so it was definitely time to pack my bags and head off again. I was very excited about this one. South Korea had been on my ‘list’ for sometime after hearing great things about it. I didn’t think I’d have the time to get there, but got the opportunity be attending the annual Harvard World Model United Nations (MUN) Conference which was being held in Seoul this year. A group of us from HKU headed over to represent Ukraine in various UN committees. It was a fascinating experience which taught me some interesting (and frustrating) things about how the UN works and that I can just about function on less than 3 hours sleep a night. It’s hosted in a different country each year so if you want to mix travel with diplomacy/public speaking then definitely look into it. 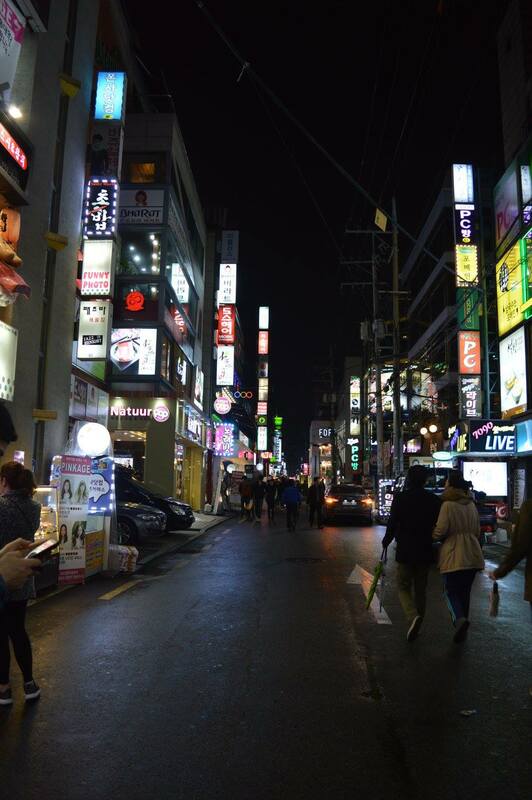 Seoul itself was just fantastic. I adore Hong Kong but Seoul just seemed to have something more. Walking around the city (day or night) gave you a real buzz. There were always street performers, late night shopping, food stalls and a strange obsession with socks (seriously, stock up whilst you’re here) on many of the city’s vibrant streets. I feel as if you could wander round the city every single night and discover something new. It’s also pretty easy to get around. I still maintain that Hong Kong has the best subway system in the world but Seoul’s is incredibly extensive. Just looking at the number of lines gives you a headache. Like the Octopus card in Hong Kong, they have a T-money card that you can top up, or you can buy individual tickets. Every trip costs a base fare of 1050 won, plus an extra 0-500 won depending on the distance travelled. Oh, and the food! Korean food wasn’t something I’d particularly thought of before as it’s not in abundance in the UK. After one week, it’s now one of my favourite ever cuisines. It’s spicy, flavoursome, colourful and sociable and I could eat it forever. The iconic ‘beer chicken’ (different flavours of friend chicken accompanied by a refreshing bottle of Cass beer) was a particular treat. It’s probably a result of my English heritage that when I think of friend chicken, my first thought is KFC so I wasn’t expecting much, but the flavours were just extraordinary – you can get sweet, spicy, plain, boneless… the choices are endless. Korea’s other famous dish (normally found at the side of a main meal) is kimchi. I found it a bit of an acquired taste, not so much because of the spiciness, but more due to the fact it’s served cold. 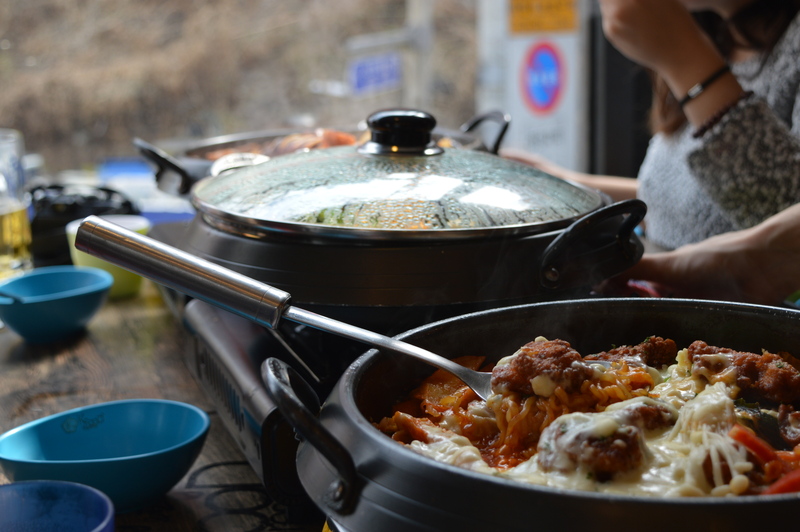 Also look out for the Korean rice cakes (Tteokbokki) which are just heavenly. They’re addictive but also really filling. The great thing about Korean food is it’s very common to just order a load of dishes and put them in the middle so you get to try a little bit of everything. It’s definitely handy if you’re travelling in a group. I’m definitely going to be on the hunt for Korean restaurants in Hong Kong now – such a pleasant surprise for the cuisine to be an unexpected gem. Much of my time in Seoul was spent either at the World MUN conference at the KINTEX conference centre, partying at one of Seoul’s many clubs or catching up on sleep, so sightseeing was hard. However, I booked in an extra couple of days at the end of my trip to do the touristy stuff. In reality, this is nowhere near enough – you probably need a week or more to do Seoul alone as it’s just crammed with stuff.